Where were you the Summer of 2007? Can you believe that was ten years ago? Maybe your whole life has changed since then. Or maybe not. 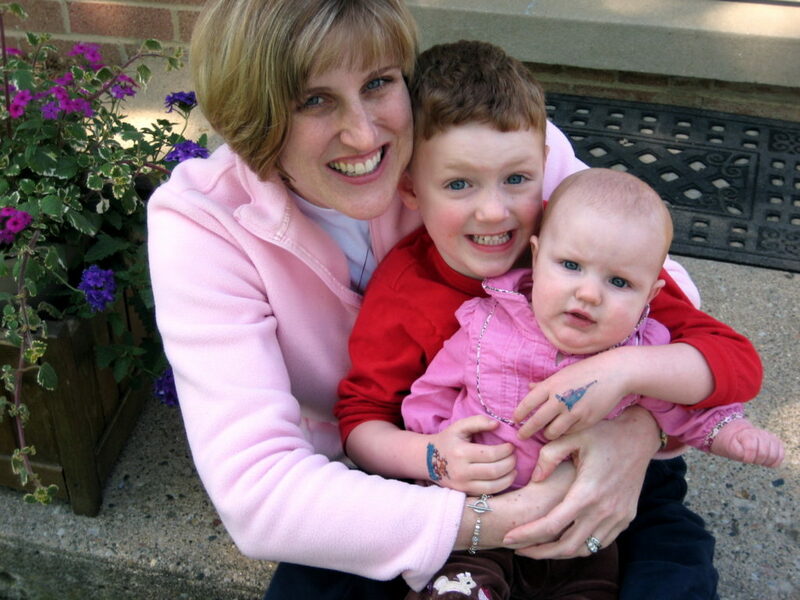 Ten years ago I had a baby and a four-year-old. My daughter was in that baby sweet spot, too. I’m talking about ages 6-9 months where a baby can sit up, but stays where you plop her because she can’t yet crawl or walk. In the Summer of 2007, I had a cell phone, but I definitely didn’t have a smart phone. The first iPhone was actually released during the Summer of 2007. Fancy that! I wasn’t on Facebook. Or any social media. I hadn’t started my blog, but I was only 1 year away from doing that on Blogger. My Grandma died in the Summer of 2007. I miss her and wish my kids had gotten the chance to know her. She was one cool lady. I worked at the same job at which I work today. “Hey There Delilah” by the Plain White T’s and “Umbrella” by Rihanna were the big songs of the summer. Ten years ago, boot cut pants were the norm. I sort of miss boot cut everything, compared to skinny everything nowadays. But I do NOT miss those ultra low rise pants (think Paris Hilton) that showed your pelvic bones (!). The big pop culture story of the Summer of 2007 was the release of the 7th Harry Potter book. Since I hadn’t read the previous six books, and I had a baby and a preschooler, I didn’t care. I had no idea this was the big pop culture story of the Summer of 2007 until I Googled “Pop culture moments of 2007“. And for more pop culture memories, how about these? In 2007, Bob Barker retired. Jordin Sparks won American Idol. Mad Men and Keeping Up with the Kardashians premiered. Where were you the Summer of 2007? Aw! What a fun little look back! My son is just growing out of the sweet spot… 10 months and into everything! Haha. He is so much fun, and entirely exhausting! I was thinking it was a pretty good year…..and then the bit about the Kardashians…lol! I could NOT believe that 2007 was when we were introduced to the Kardashians. And I can NOT believe they are still a thing! Your cute babies! Hmm. 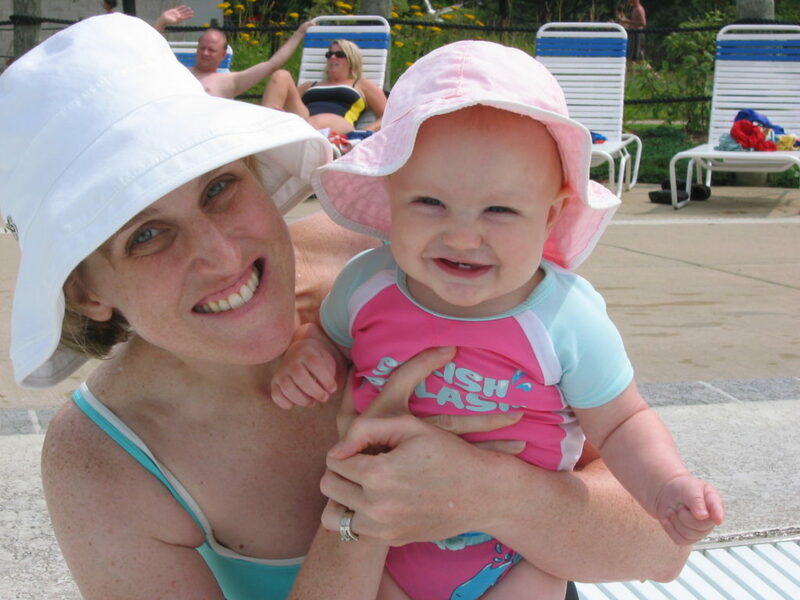 In the summer of 2007 I was hugely pregnant with my 3rd. I remember nothing else 🙂 But Hey There Delilah rings a bell! Midlife Dramas in pyjamas recently posted…It’s FRIIIIDAAAAYYYY!! Midlife Dramas in pyjamas recently posted…Hang Up Your Hang-Ups – Seriously?! It was a different life 10 years ago, wasn’t it? Not necessarily better, just different. Wow, 2007 suddenly seems so long ago. I just realized that the husband and I were house hunting then. Three kids and several renovations, here we are. Thanks so much for sharing at the #happynowlinkup! Ah and so the spark of decorating began with a house to renovate! Oh wow, what a dog s#@t year that was – until the end. I was diagnosed with narcolepsy. My beloved first pet as a grown-up died, followed almost immediately by losing my job. On my flippin’ birthday, no less. A month later, my boyfriend (now husband) lost his mom. After all that sadness and turmoil, the year ended with a proposal of marriage, which I wholeheartedly accepted. It was only then that I realized that this kind of year – which virtually everyone has at some point in their lives – DOES end. And it made me that much more grateful for the blessings that were coming my way. I hate those kind of years, but yes, you are right. Everyone has them and they do make you appreciate the good years. P.S. Letting go of my first cat as an adult was mind-numbingly hard. I had no idea I could hurt that much! I’m with you about the pants. The higher waisted the better for me! I do not have a Kim Kardashian behind. If things start too low, they eventually just slide down! I hope you enjoy your own trip down memory lane! I think it’s helpful as well as fun to look back and realize how you’ve grown, and survived certain stages of motherhood.